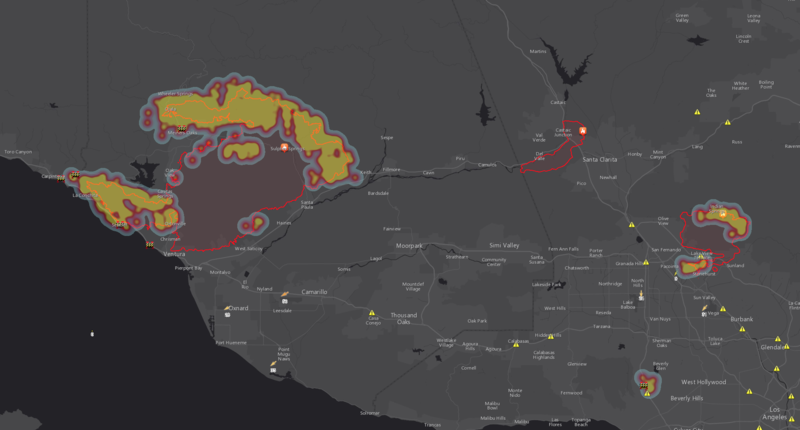 The map features MODIS infrared satellite active fire mapping data from NASA, California Highway Patrol incidents and road closures, NOAA current weather observations, and CalFire Fire Perimeters. All data is updated on a 10 or 15 minute interval from publicly available data. We also want to take this opportunity to acknowledge those that have been impacted by the fires. As firefighters we understand the challenges and difficulty these events have created both personally and professionally. We wish those on the fire lines, including Tablet Command Co-Founder Andy Bozzo, safety and endurance in this time of chaos.